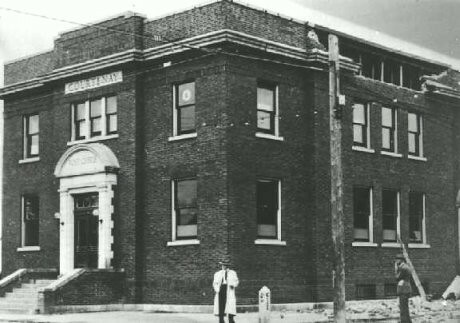 Because Vancouver Island is located directly on a fault line and is part of the Pacific Ring of Fire, a horseshoe-shaped area of high seismic activity including earthquakes and volcanic eruptions, annual earthquake drills in preparing for that inevitable “Big One” was largely a part of attending any school in British Columbia. 1. Drop to the ground. 2. Take cover by ducking under a sturdy desk, table or within a doorframe. 3. Hold on until the shaking stops. 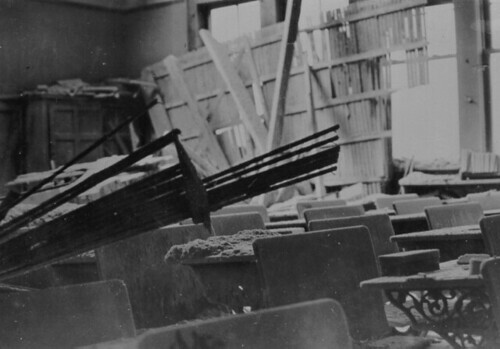 Most earthquakes last an average of 60 seconds. 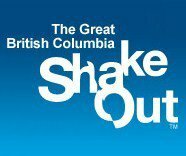 For more information on the Great British Columbia ShakeOut and for tips on how you can be better prepared for earthquakes in our region, visit the official website. You can also find them on Facebook or follow their updates on Twitter. 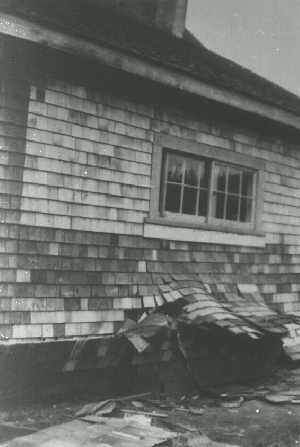 On June 23, 1946, a catastrophic earthquake rattled Vancouver Island. 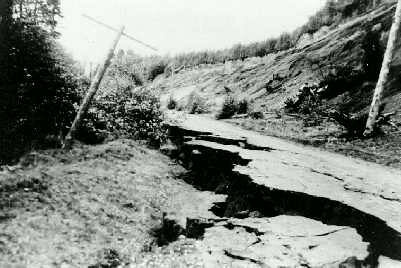 Centered in the Forbidden Plateau area, the 7.3 magnitude quake had far-reaching effects. 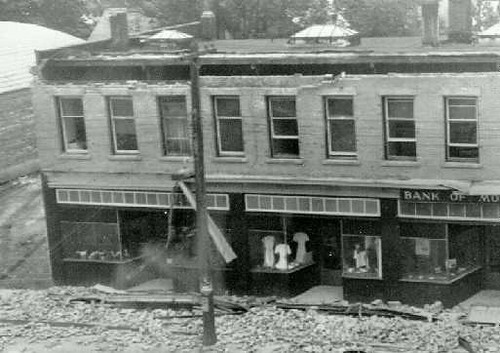 Miraculously, only two fatalities were recorded: one due to heart failure and another who drowned near Port Alberni from the enormous waves that occurred after the earthquake. 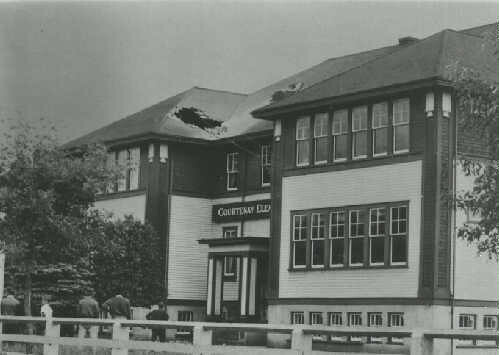 I have managed to dig up a few remaining photos that documented the damage. The destruction can be so devastating. I’m lucky never to have been near a huge earthquake. The one and only time I remember a rumbling (this must have been about 5 or 6 years ago) and I could feel the chairs & tables in my living room shaking and moving. It wasn’t major but enough to shake the spirits of people in the area as it rarely happens in our part of the world.